There are 57 days until Florida State football takes the field against Virginia Tech. As part of the offseason, we’re doing a countdown that highlights players, games, and specific moments from FSU football history. On Saturday, it was former defensive end Jamal Reynolds, who wore No. 58 at FSU and became an elite defensive end during his college career. 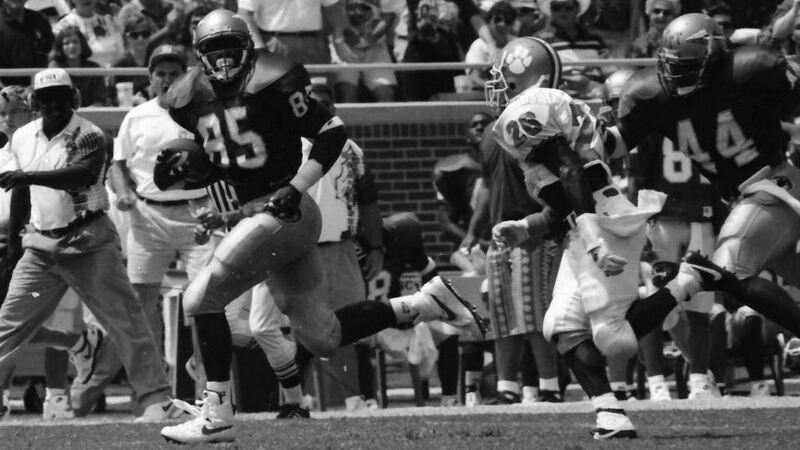 Today, it’s the 1993 FSU team dismantling the Clemson Tigers, 57-0. The first supposed test for the 1993 FSU team was the Clemson Tigers at Doak Campbell Stadium. The Tigers were ranked 21st in the nation and had a defense that many assumed would keep them in most contests. Florida State was still a clear favorite going into the game. 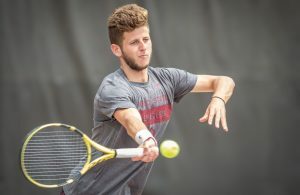 The Seminoles held the top spot in the polls and showcased an explosive offense in their first two contests against Kansas and Duke. They won those games by a combined 87-7 score, but neither team was well-regarded. Clemson was the first opponent on FSU’s 1993 schedule to have some sort of assumed competitiveness. Even the most loyal FSU fans were shocked at what transpired that Saturday. FSU handed Clemson its worst loss in over 60 years on the way to a blowout 57-0 win. The Seminoles wasted no time in the rout, jumping to a 23-0 lead by halftime. The first half saw both Charlie Ward and Danny Kanell throw a touchdown pass, Clifton Abraham recover a blocked punt for a touchdown, and Scott Bentley drill a 47-yard field goal. It only got worse for Clemson in the second half. Charlie Ward had an immaculate third quarter that consisted of three touchdown passes. 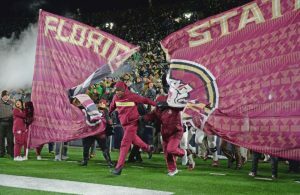 It was 43-0 by the time FSU decided to pull the starters and let the backups get some reps. Kanell added another touchdown pass in the fourth quarter that made it 50-0. The final score actually came from the defense again. This time, it was linebacker Derrick Brooks, who added the cherry on top with an 83-yard fumble return for a touchdown. Brooks finished with a blocked kick and two fumble recoveries. Ward finished with 317 passing yards and four touchdowns. FSU’s shutout was preserved by a second memorable goal line stand in three weeks and Bentley making a tackle on a blocked PAT that was nearly returned for two Clemson points. 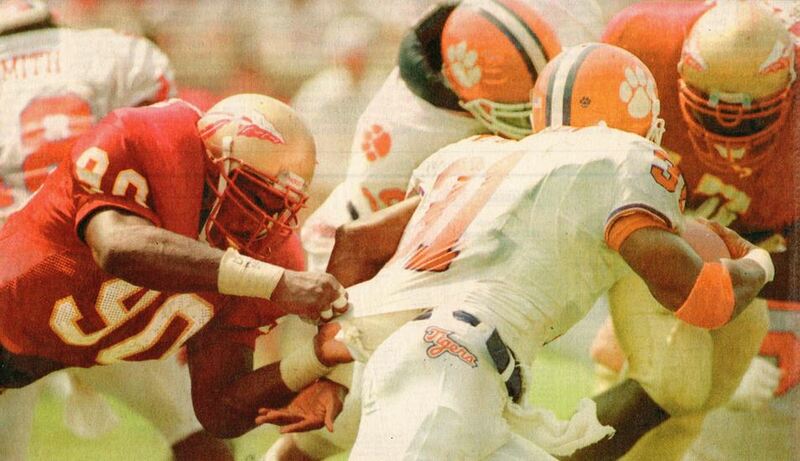 On its surface, the 1993 Clemson-FSU contest doesn’t seem too memorable except for its obvious lopsidedness. But in retrospect, it is interesting how the 1993 season paralleled much of the 2013 season, even down to the national championship victory. 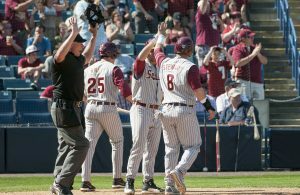 Fans remember that FSU was ranked highly in 2013 after its first few wins, but it was supposed to face stiff competition from the Tigers. Much like the 1993 contest 20 years earlier, it turned out to be the exact opposite.